Tactical shirts from 5.11 offer a combination of comfort and utility wrapped in a high performance package. 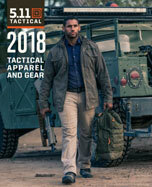 Designed to act as rugged and reliable tactical operator shirts across a broad range of mission theaters, 5.11 tactical shirts are world renowned for uncompromising quality, unbeatable craftsmanship, and modern composite materials that provide rugged durability while remaining lightweight and breathable. Whether you’re looking for a new set of operator shirts for your next duty assignment, a comfortable set of recreational shirts for your next hunting or fishing trip, or a set of reliable and resilient work shirts for your new job, 5.11 Tactical Shirts have everything you need and more.